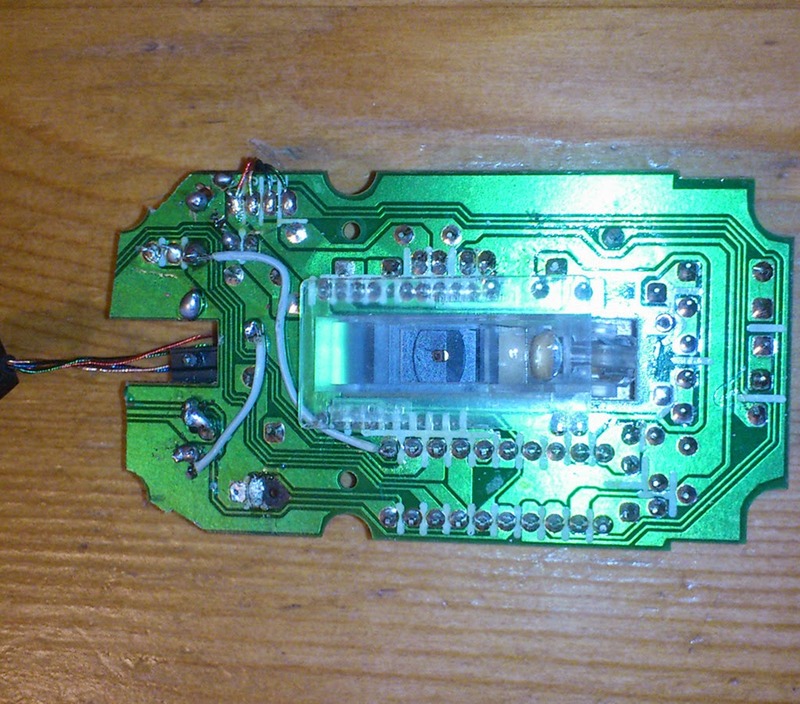 I contemplated building a PS/2-USB interface with an Arduino, but lacked the 3.6V Zeners used in the circuit I found on the intertubes. 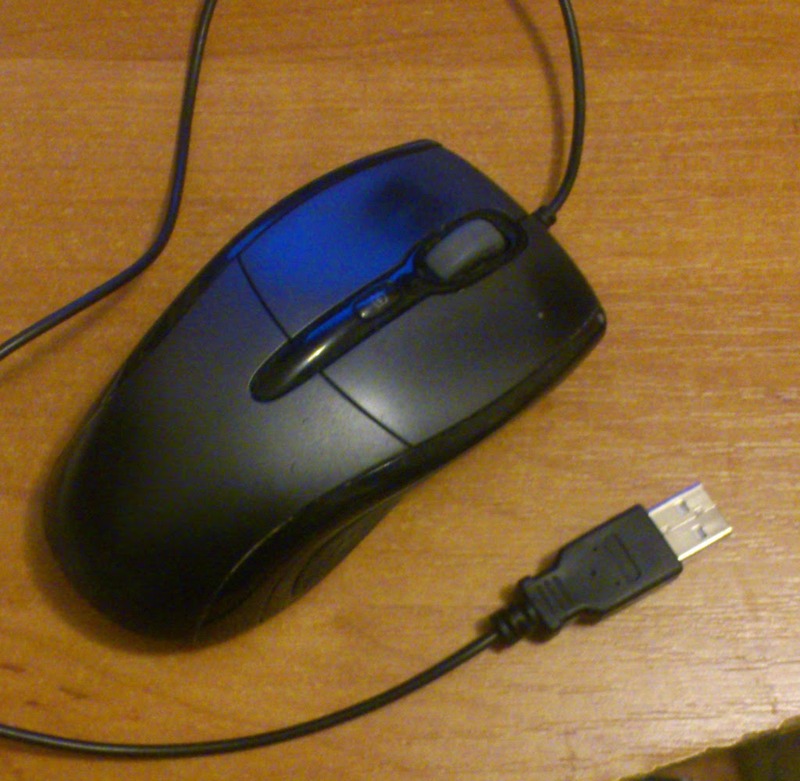 Fortunately there was an old USB laser optical mouse lying in my drawer. 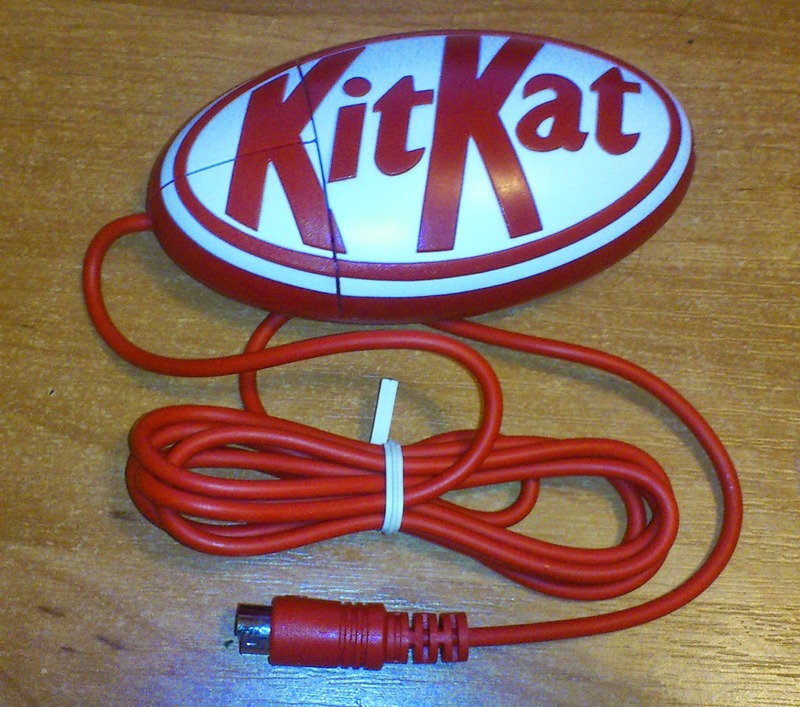 I decided to transplant its innards to KitKat. 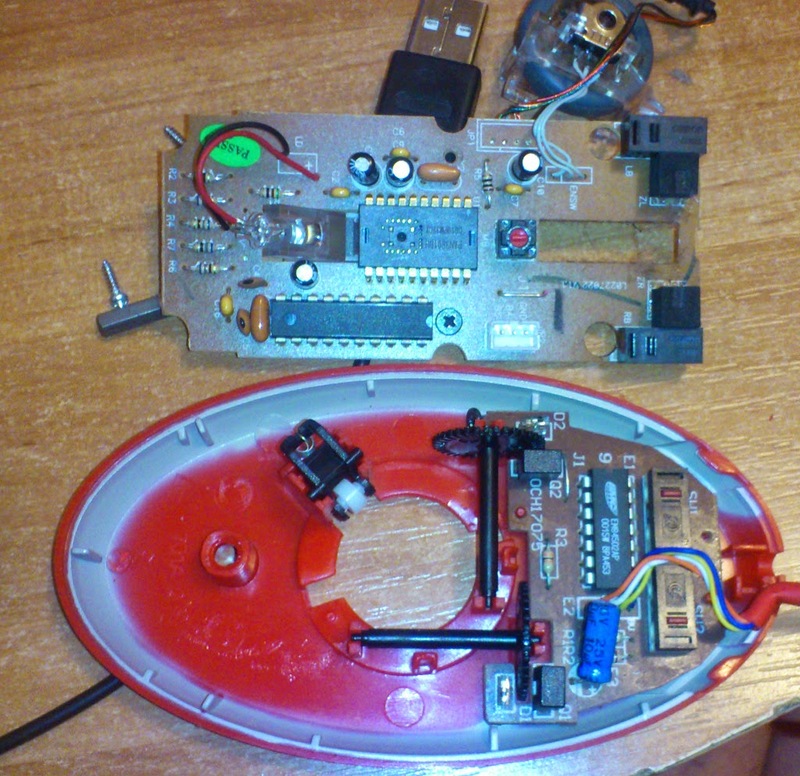 The PCB was too large to fit into the enclosure and the switches needed to be repositioned. 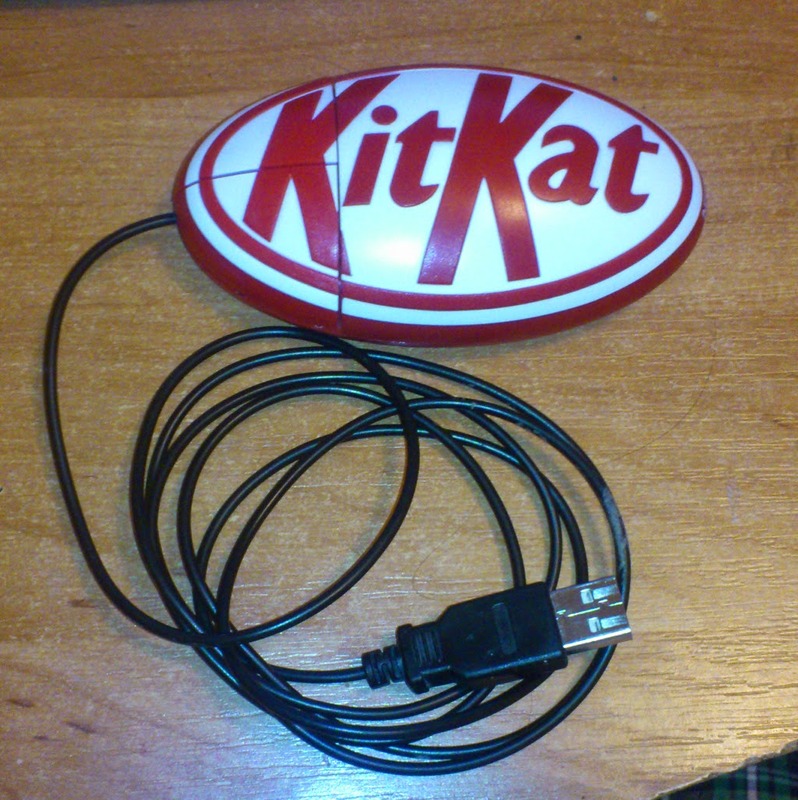 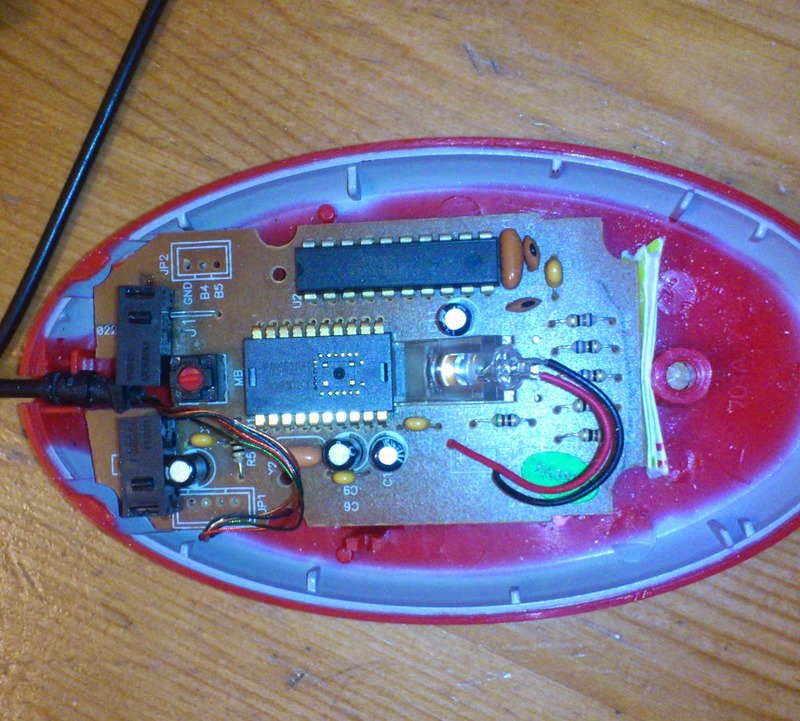 et voilà - a USB KitKat laser mouse!